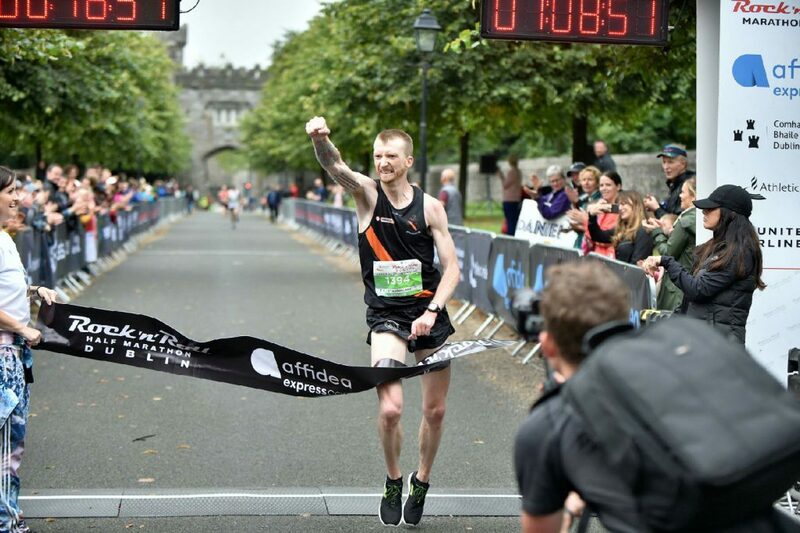 David Flynn had a big win today in Dublin`s Rock `n`Roll Half Marathon/National Half Marathon on a new course, changed from the Phoenix Park due to the Pope`s up coming gig. Flynner took the National title in 68.51. Winning by nine seconds from former Harrier, now with Clonmel AC, David Mansfield. In 4th place, and 1st O/40 was National marathon champion Gary O`Hanlon 69.31. On the team front amended results have issued showing the Clonliffe team of Flynn, O’Hanlon and McGuinness on a combined time of 3.43.27 as National Champions ahead of Clonmel AC on 3.45.16.